Many of the Guest that come to Pine Cove Cabin ask us if we have Kayak’s or Boats for rent. Due to the overwhelming demand we now offer Kayak rental, boat rental and Paddle Board rental on both Lake O’ the Pines and Caddo Lake. Lake O’ the Pines is a great recreation lake. There are numerous creeks and coves that are perfect for exploring by Kayak, Boat or Paddle Board. These creeks and coves are often protected by the prevailing wind making them easily accessible on even the windiest of days. There is plenty of wildlife to see. Lake O’ the Pines is home to Bald Eagles, Blue Heron, and hundreds of spectacular birds. Deer, Fox and other mammals are plentiful and easy to see from the lake. Why not Enjoy Lake O’ the Pines from a Kayak, Paddle Board or Boat? We have 3 kayaks to choose from. The Kokanee Kayak, by lifetime, is a 2 seater that is 10’ 6” long with a weight capacity of 425 pounds. This Kayak is perfect for beginners and intermediate users and is perfect for couples or an Adult with a child. This Kayak comes with 2 paddles and 2 Lifejackets. and very comfortable, this kayak is fun and easy to navigate. Designed for beginners and intermediate users in flat water. This Kayak comes with 1 paddles and 1 Lifejacket. 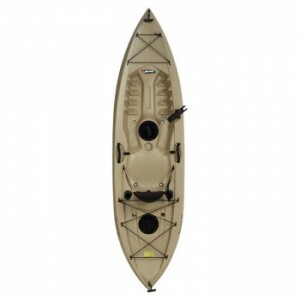 The Tamarack Angler Kayak by lifetime is a 10’ long single seat kayak with a weight capacity of 275 pounds. 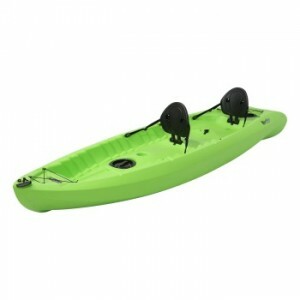 Designed for fishing, this kayak has one top mount rod holder and two flush mounted fishing rod holders. Comfortable padded seat back and multiple footrests provide comfortable accommodations for your all-day fishing excursions or for recreational kayaking. 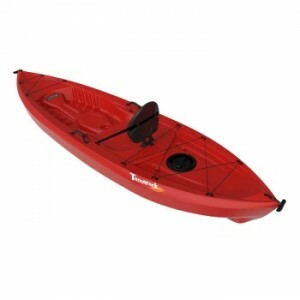 Super stable and very comfortable, this kayak is fun and easy to navigate. Designed for beginners and intermediate users in flat water. This Kayak comes with 1 paddles and 1 Lifejacket. We have 2 Freestyle XL Paddleboards by Lifetime. They are 9” 5” long and 35.5” wide. They have a EVA deck cover for increased traction and 2 retractable fins for increased performance. Rated for use in both flat water and in surf, these paddleboards are great for beginners and intermediate users as well. 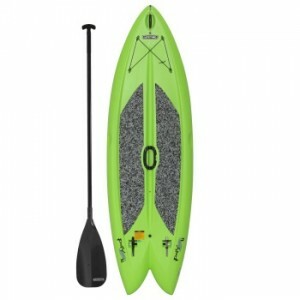 Each paddleboard comes with 1 paddles and 1 Lifejacket. We have a 3 person, 14’ Tracker Jon boat with a brand new 5 horse power Mercury tiller drive motor available for full day and half day rental. This boat is equipped with a transom drive trolling motor and a Hummingbird 197 c DI fish finder with downward imaging and is perfect for fishing or cruising Lake O’ the Pines. Lifejackets are provided for up to 3 persons. We will deliver anywhere on Lake O’ the Pines or Caddo Lake with a minimum rental. Contact us to rent or to get more information.